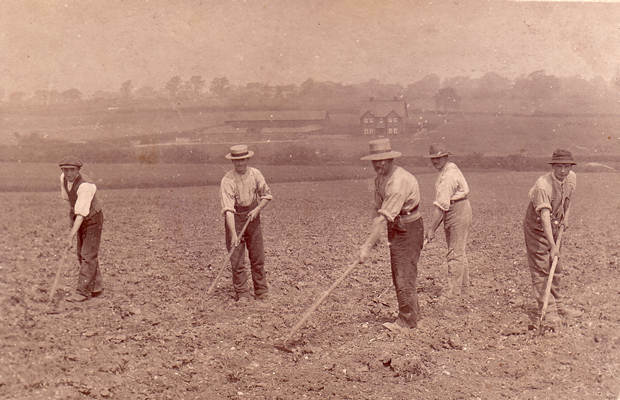 Looking towards New Farm, Chrishall from Chiswick Hall, these men are hoeing out the weeds. Two individuals appear to be left handed. Notice the lack of trees and hedging along the main road which means you can see New Farm very clearly.